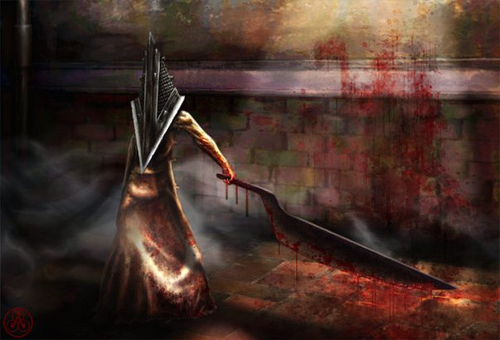 Pyramid Head. . Wallpaper and background images in the Silent Hill club tagged: silent hill welcome to silent hill silent hill pyramid head. This Silent Hill photo might contain abattoir, butchery, shambles, and slaughterhouse.